Shop an incredibly broad range of wine, beer and other drinks from The Drink Shop and compare their prices with other UK merchants. 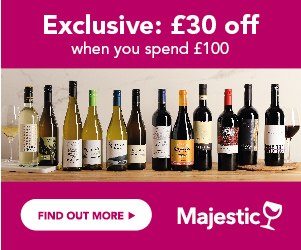 Find the most discounted drinks and look for the best offers. Shop April Drink Offers with up to 20% off this month at The Drink Shop. Great savings on wine, spirits and Champagne right now. Since 1999, The Drink Shop prides itself in offering the largest choice of wines, beers, spirits and gifts online, delivered worldwide. Today it is the most visited drinks website in the UK and the fifth most visited for wines. They offer a very large choice of brand leaders or rare products with over 6,000 devices available in stock. The Drink Shop is now also serving hundreds of bars, restaurants and hotels throughout the UK. 3 day service from £4.99 up to a maximum of £6.99 for an order of any weight or size. Next day service from £8.99. Saturday service £10.99. Late deliveries up to 9pm during peak time (Christmas).